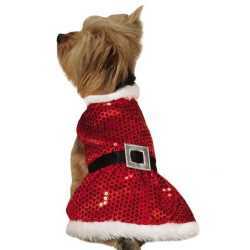 Santa Paws is coming to town in this Jolly Santa Dog Jacket by East Side Collection. 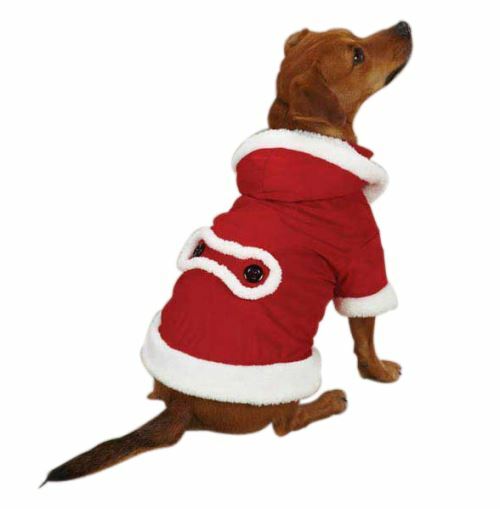 This fashionable red faux suede Dog Jacket is trimmed with ultra soft berber, providing warm comfort in cold weather. 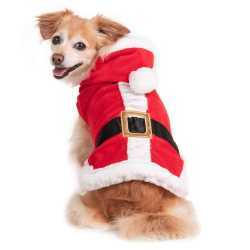 The Jolly Santa Dog Jacket is made of faux suede and comes with a detachable hood. The coat has black button details. There is a leash hole and Velcro closures. Size: This is available in XXS (8") only. 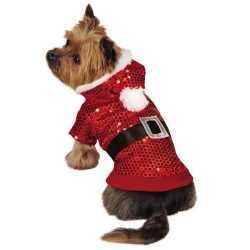 Just the thing for your teacup size doggie. Back: Measure length of Dog’s back from the base of the neck to the base of the tail. See below for estimating by breed. 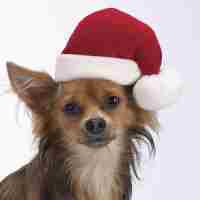 Neck: Measure the circumference of Dog’s neck for a snug fit. No need to add inches as you would with a collar.